Blenheim palace, residence of the Duke of Marlborough, Oxfordshire, England. 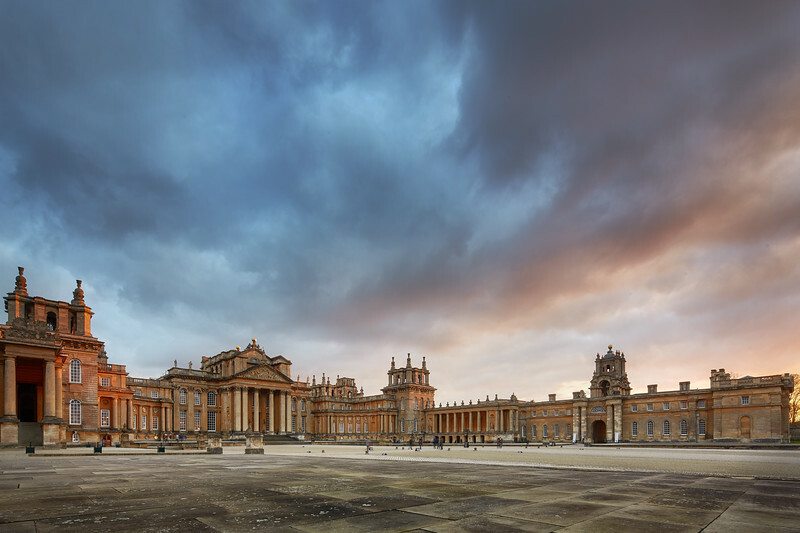 A panoramic view across the courtyard at the front of Blenheim Palace, the home of the Duke of Marlborough, Oxfordshire, England. The un sets over Blenheim Palace, home of the Duke of Marlborough, Oxfordshire, England. Wide view looking directly towards the main entrance of Blenheim Palace, home of the Duke of Marlborough.